To highlight Yair Elazar Glotman a.k.a. 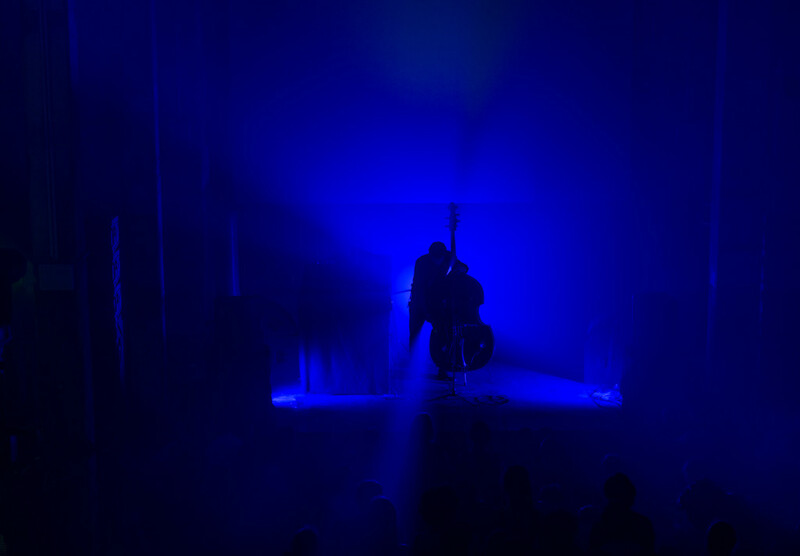 Ketev‘s upcoming performances at four SHAPE events – TodaysArt, Musikprotokoll, RIAM and SONICA – we bring You an exclusive live solo contrabass recording that he made in his home studio. The music is brought to You in collaboration with our media partner The Wire Magazine. Glotman live at Berlin Atonal. Photo by Camille Blake. Although just as dark and filled with a menacing sense of progression, the solo contrabass work that Glotman performs under his own name is technically quite different from his work under the Ketev moniker, which can be vaguely described as post-techno. Yair Elazar Glotman (a.k.a. Ketev) is a musician and sound artist living in Berlin. His compositions are currently concerned with analog tape loops, electronics and contrabass. He trained as a classical contrabass player, and has studied electroacoustic composition.